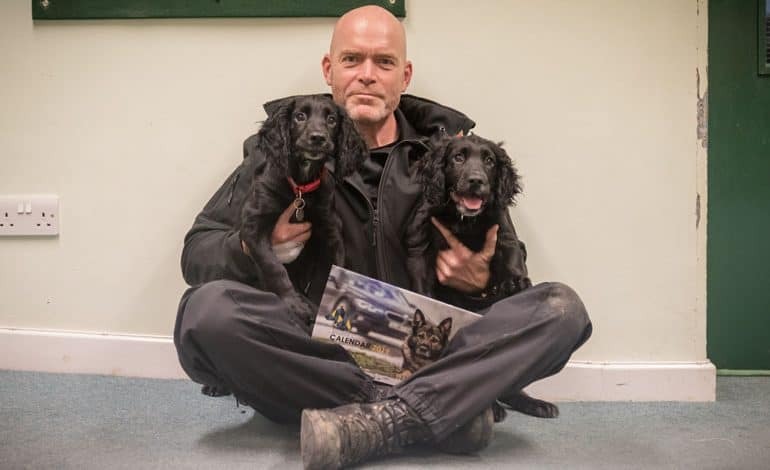 A 2019 calendar will feature police dogs from the joint Durham, Cleveland and North Yorkshire Dog Support Unit and hopes to raise money for Paws Up, a Police Dogs Benevolent Fund to support working dogs once they have retired after years of loyal service. Paws Up aids the new owners of dogs cope with expenses such as pet insurance, vets bills, food, toys and bedding. The police officer behind the charity, PC Ian Squire, said the calendar has proved a successful fundraising venture in the past and this is the sixth year it has been produced. PC Squire said: “The money all goes towards giving police dogs a happy retirement and thanks to the generosity of the public, we have donated thousands of pounds to dog owners since the charity was set up in 2013. “Once police dogs have retired they are either kept by their handlers or re-homed by generous members of the public. Historically there was no real provision to assist with the day-to-day costs of looking after the animals after they put their paws up, leaving their handler or their new owner with the responsibility of costly vet bills that can often mount up once a dog is retired and in its older years. The twelve canine stars were photographed mostly by PC Squire, a dog handler for 17 years. The pin ups are German Shepherds, Spaniels and Labradors who carry out general purpose work and specialist duties such as searching for missing people and sniffing out drugs, cash and weapons.